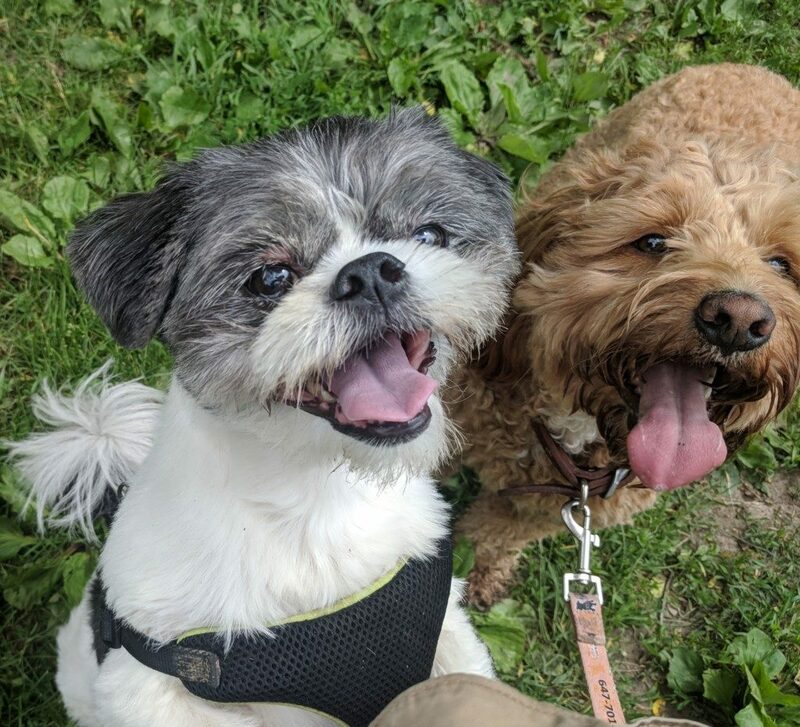 Years of providing safe walks for dogs of all age and sizes! 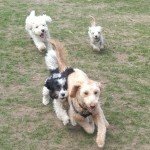 Our energetic dog walkers provide fun filled and safe walks for dogs of all ages and size. 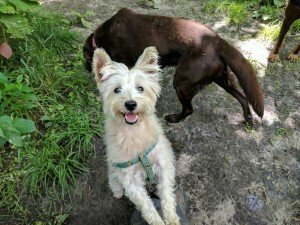 Not only are our walks extremely fun, but we keep them as safe as possible. 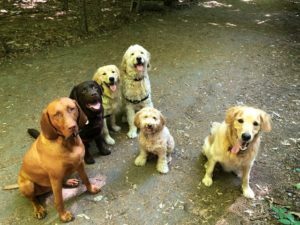 When your dog joins 'our pack' they're joining a group of other like-minded, friendly and playful dogs from the community. We head outdoors to some of the nicest trails, parks and beaches in Toronto. Playing fetch, chasing each other around, hiking trails, swimming and so much more. 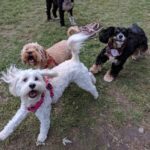 Your dog is going to LOVE their walks. 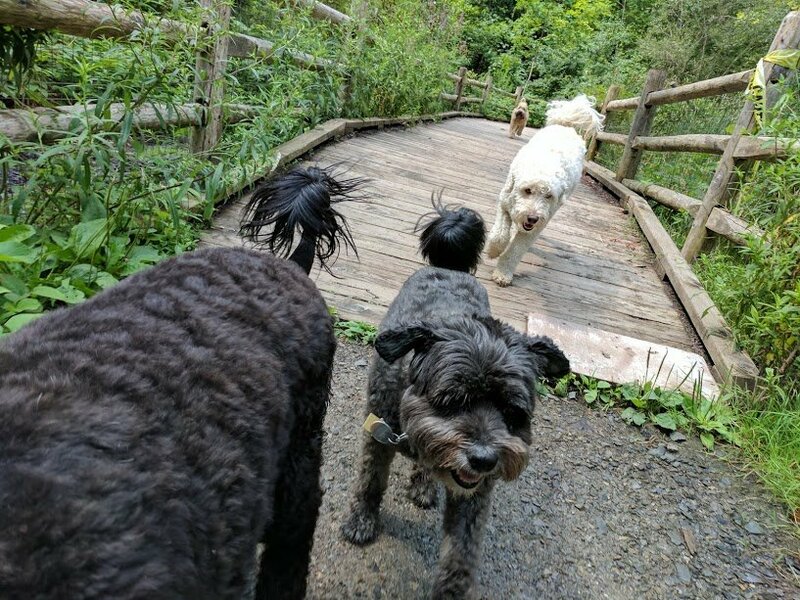 Longer walks; with approximately 2 hours of being out of the house including pick-up and drop-off, walk and play time. 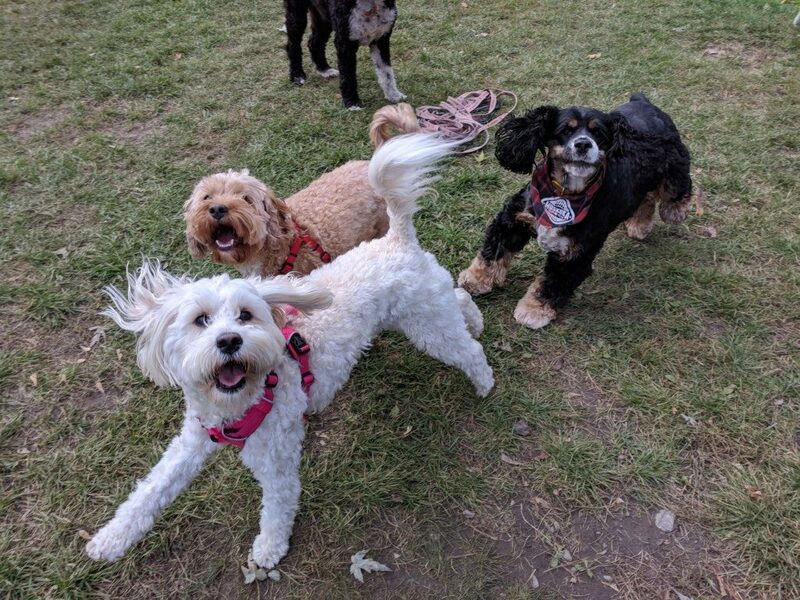 Our energetic dog walkers provide fun filled and safe walks for dogs of all ages and size. 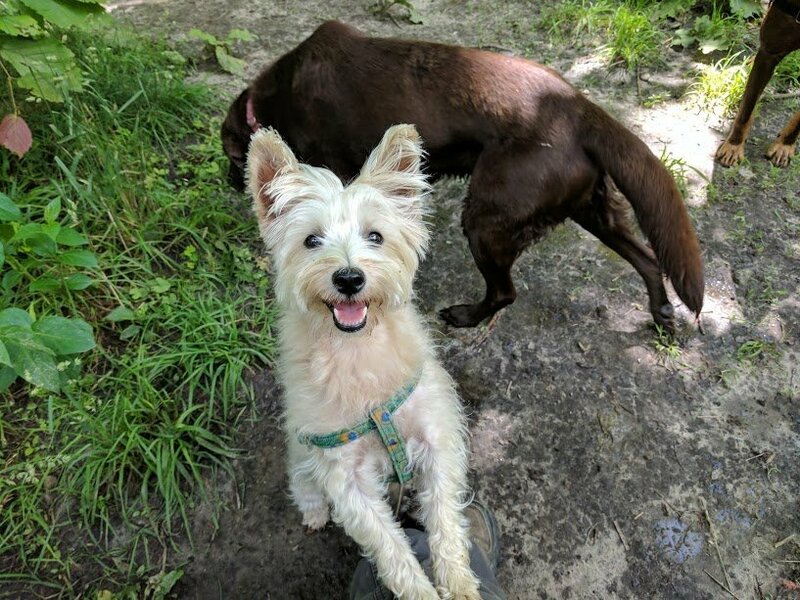 Not only are our walks extremely fun, but we keep them as safe as possible. 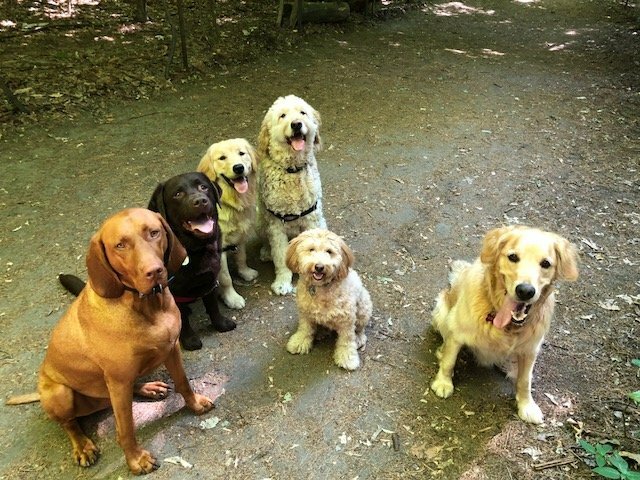 When your dog joins 'our pack' they're joining a group of other like-minded, friendly and playful dogs from the community. We head outdoors to some of the nicest trails, parks and beaches in Toronto. Playing fetch, chasing each other around, hiking trails, swimming and so much more. 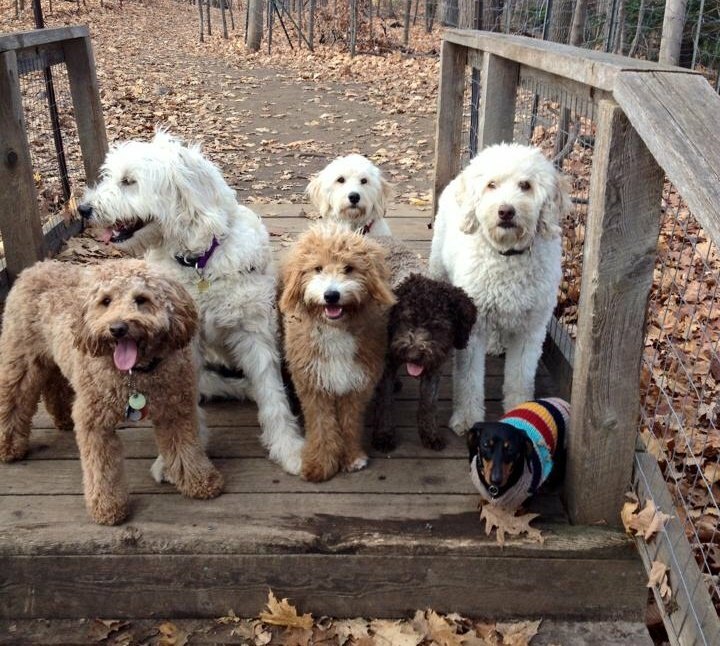 You're dog is going to LOVE their walks. 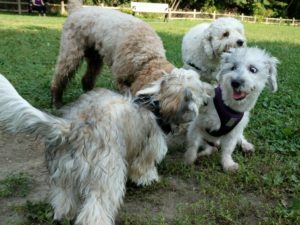 How many dogs are in a group? 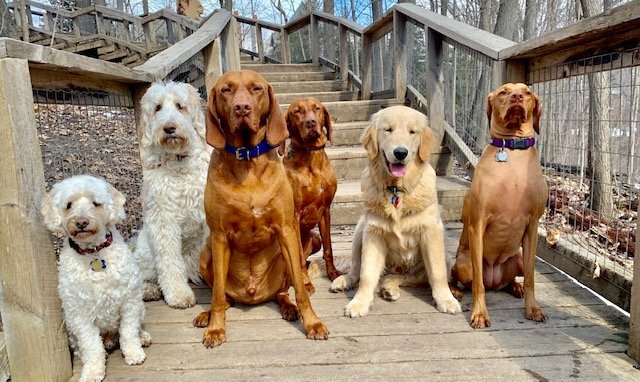 The City of Toronto limits the amount of dogs in a dog walker's group to a maximum of 6 dogs. This has become the standard for dog walkers using city dog parks. 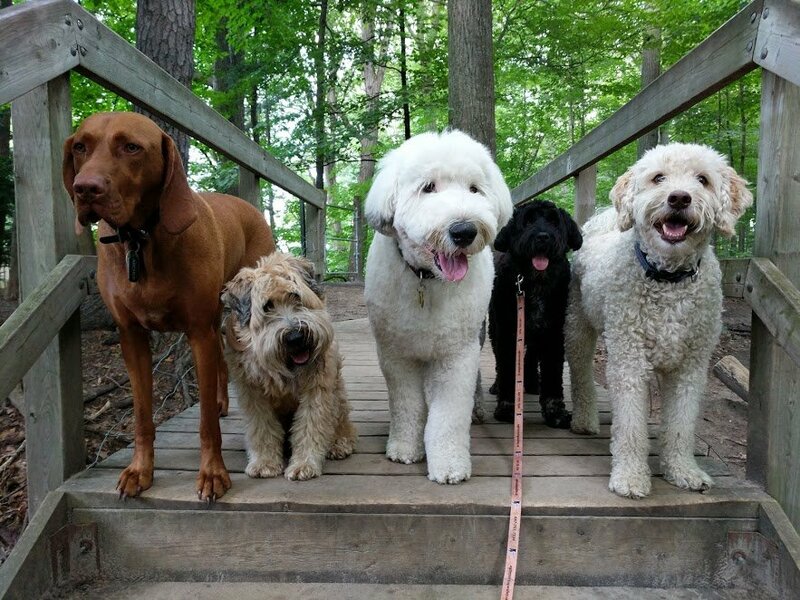 We strive for groups of 4-6 dogs that are similar in age and sizes. How often does my dog need to come out to join you guys? Consistency is a big deal for our packs. 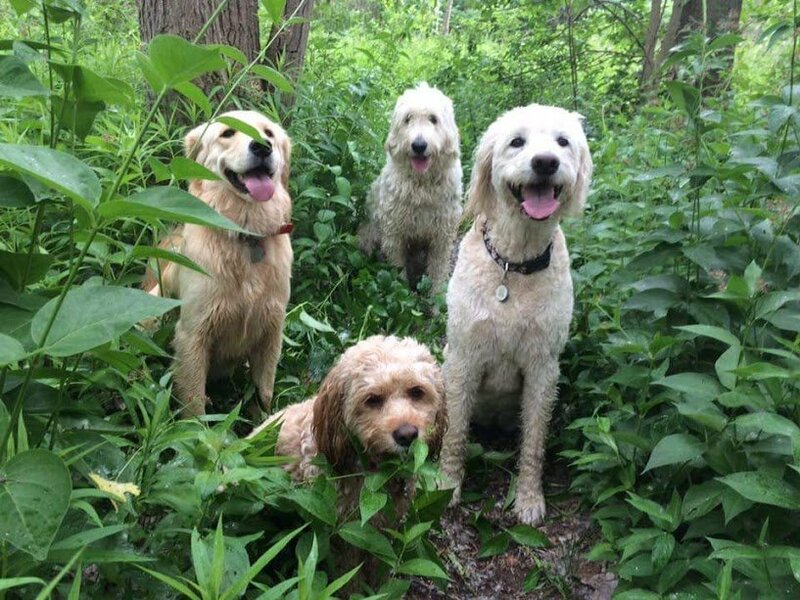 We ask that pack members join us 5 days each week. If you take days off here and there, or vacation a bit during the year then we understand and are flexible. 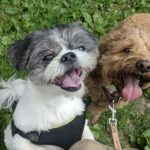 We just expect that for the most part your dog will come out with their dog walker for the vast majority of business days. 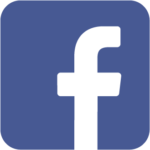 We do not offer infrequent or occasional walks, but can refer pet parents to companies that do. 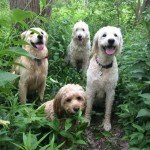 Do your dog walkers smoke in the car with the dogs? No. We have a strict policy of not smoking around the dogs. 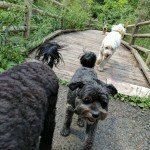 What if my dog doesn't have good enough recall to be let off-leash? 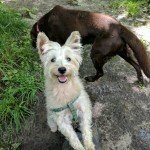 We take dogs with questionable recall to fenced in dog parks where they won't be able to run away. 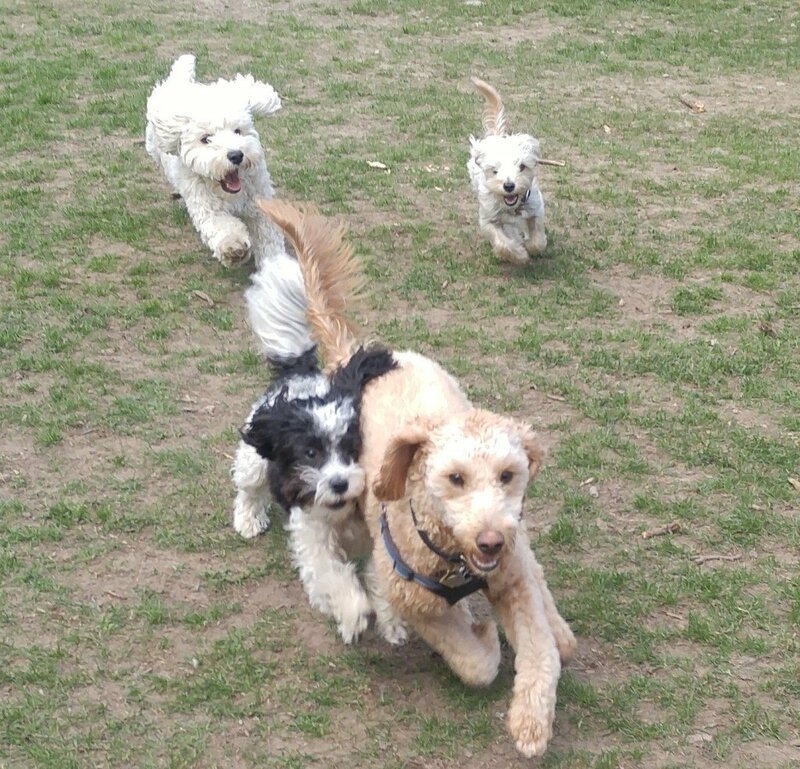 The dog walker will work on teaching them to stick with their pack and to come back when called. 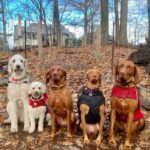 If the dog cannot be off-leash then the dog walker may be able to provide on-leash walks on streets or trails, but this would need to be discussed. We make it easy! You will be invoiced bi-weekly and your credit card will be automatically charged. You will get a detailed invoice of your services prior to us charging your card. No need to worry about cash, cheques, e-transfers.. Just set it and forget it! 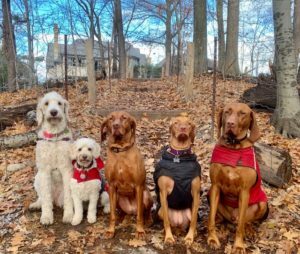 What measures are taken to keep the dogs safe in extreme weather? 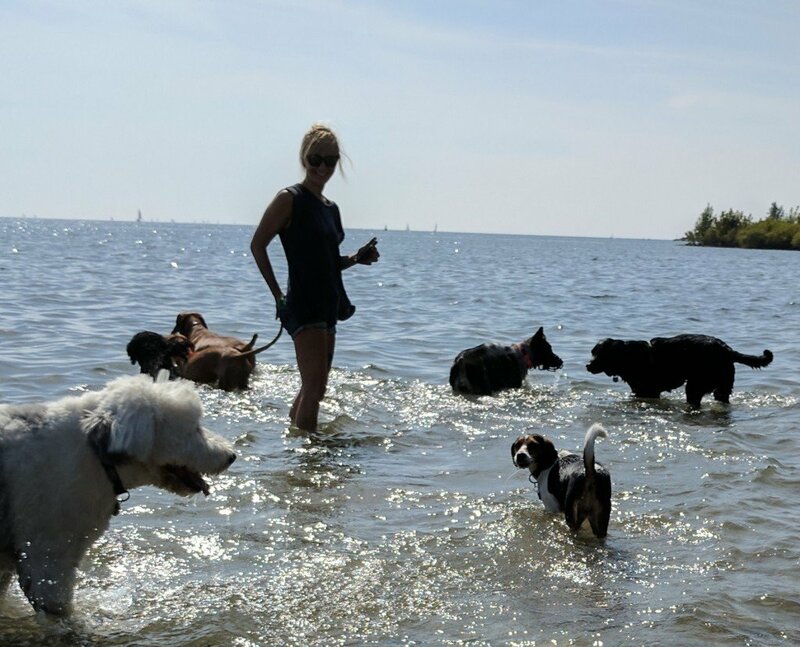 When the weather is really hot our dog walkers will take the dogs out in shaded areas or to the beach. We ensure they have access to water during their outing and are kept safe during the commute by only using vehicles with AC. In the winter we will dress the dogs in any clothing articles the owners provide and then adjust the length of the walks accordingly. 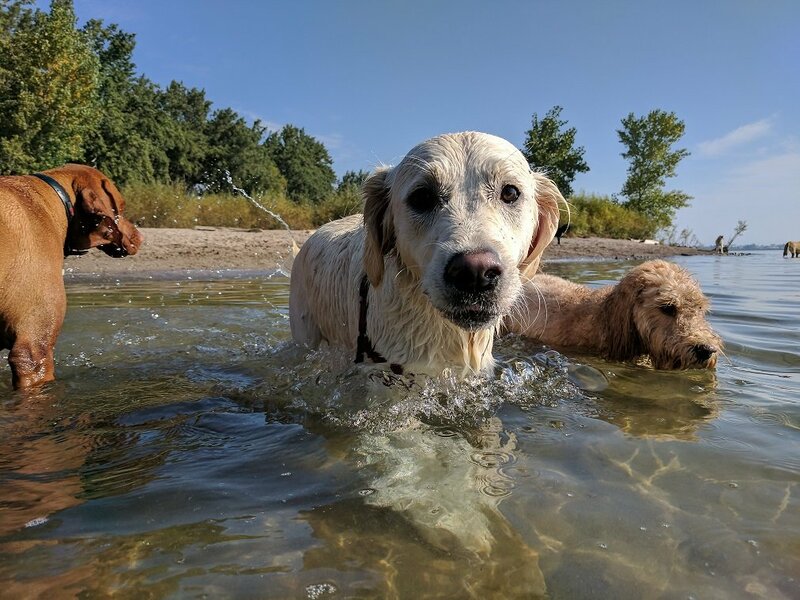 Our dogs and your dog's safety is our number one priority. 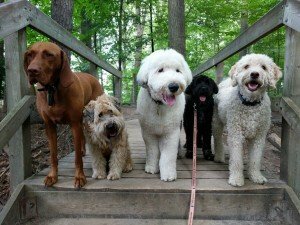 The City of Toronto limits the amount of dogs in a dog walker's group to a maximum of 6 dogs. This has become the standard for dog walkers using city dog parks. Leave Your Furry Friend in Good Hands!